Best Disney film since The Incredibles? (Robert W. Butler, McClatchy Newspapers) You betcha! The latest and greatest computer generated movie has arrived on Blu-ray which allows users to experience this awesome movie in glorious high definition video and sound. Starring John Travolta as Bolt, the movie revolves around one of Hollywood's biggest show, a TV series called Bolt which its lead star being a super powered canine. 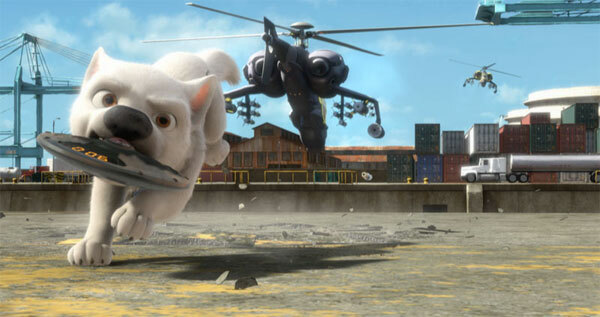 With slight parallels of the Truman Show, the director of Bolt has carefully created a story around this dog, however has done his utmost to ensure that Bolt thinks it is real. When Bolt screams his superbark or lasers come from his eyes, the special effects department and actors ensure that it appears that it is coming from our canine hero. Unfortunately the popularity of show is lacking for viewers between 18 to 35 and the director is forced to stage a "cliff hanger" ending which accidentally results in Bolt being shipped to New York due to two meddling cats. 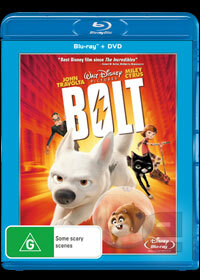 Once in New York, Bolt attempts to make his way back to Hollywood in order to be with his onscreen owner Penny whom both share a close bond. Fate throws Bolt another "bone" and he discovers that Styrofoam has taken away "his" powers, unbeknown to him that he never actually had powers. 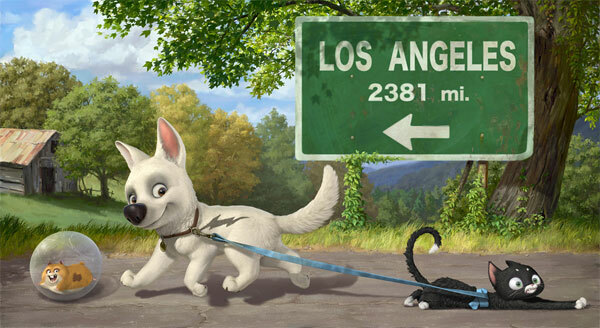 On the streets and directionless, he meets a street smart cat called mittens (Miley Cyrus) who are joined by Bolt's number one fan, Rhino, a hamster in the ball and together they must make the journey back to Hollywood through comedy, drama and action. Although Bolt is an animated film, it can be watched by everyone, whether you're four or forty or even eighty, this feel good movie about one dog's journey of discovery and pathway back to his owner will have you laughing and on the edge of your seat. There's some great cameos in the movie and the pigeons in the movie are really surreal to watch, especially because of their pigeon-like movements which I found a tad creepy... although in a good way. Needless to say, from the very first minutes of the movie from the action of Bolt and his "owner" Penny being chased through the streets or the reunion at the end, I thoroughly enjoyed this movie and dare I admit it, it was probably one of the best movies that I have watched all year on Blu-ray. In regards to Blu-ray, the video quality is stunning and the attention to detail almost makes it look like you are looking at real animals come to life on your high definition TV. The colours and super sharp images are fantastic and this is easily one of the best Blu-ray discs in terms of quality. 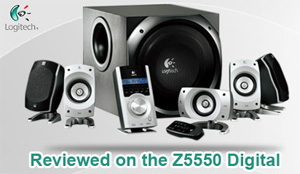 Match that with high definition sound and through our Logitech sound system, the movie sounded phenomenal and make good use of the speakers. This presentation also comes with the DVD disc which is a great idea as it can be given to another member of the family or watched in another room on DVD as I'm sure that not everyone has Blu-ray in all their rooms. The extras are entertaining, especially the short film about Rhino, it's a pure classic and there's a variety of featurettes and even the music video of the movie. Definitely some interesting and fun special features! In conclusion, Bolt is a great fun movie that can be watched by everyone any anyone. Even though the story is highly entertaining, on Blu-ray, it transforms the movie into an amazing magical journey that oozes with Disney magic. Highly Recommended!